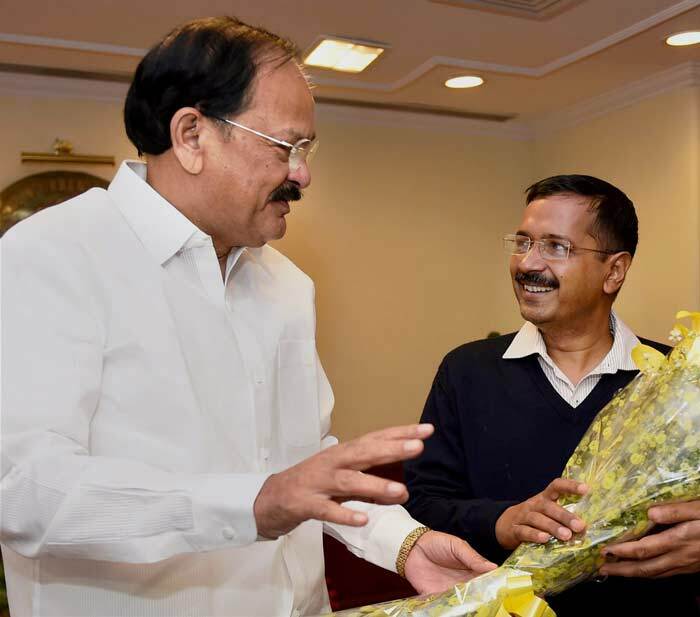 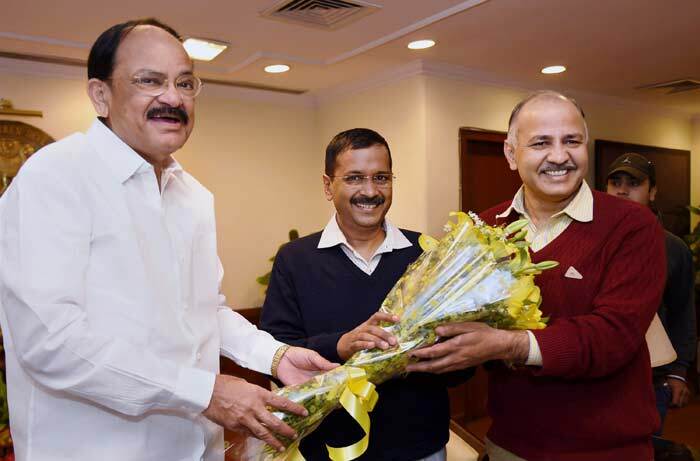 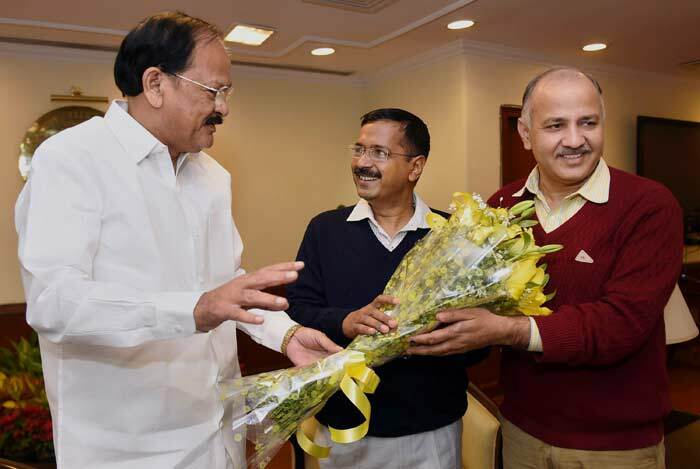 A day after Arvind Kejriwal-led Aam Aadmi Party scripted history by securing 67 of the total 70 seats in the Delhi Assembly polls, the Chief Minister-designate met with Union Urban Development Minister M Venkaiah Naidu. 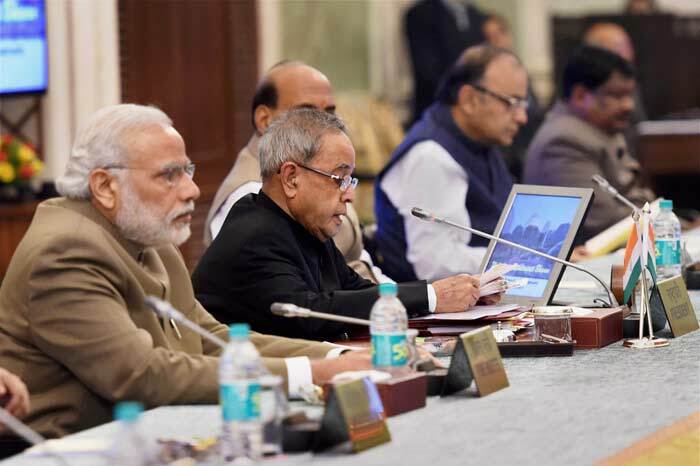 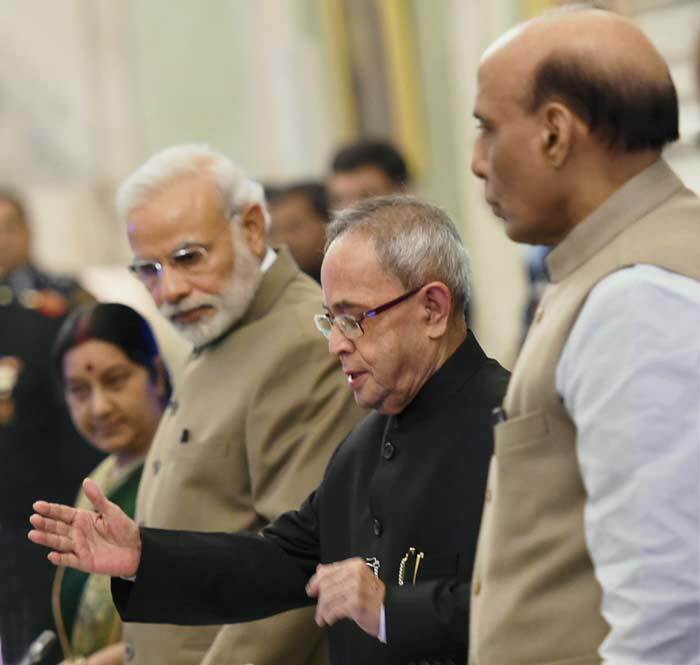 President Pranab Mukherjee warned that any deviation from the Constitutional principles and provisions would weaken the democratic fabric of the country and "jeopardise" social, economic and political well being of citizens. 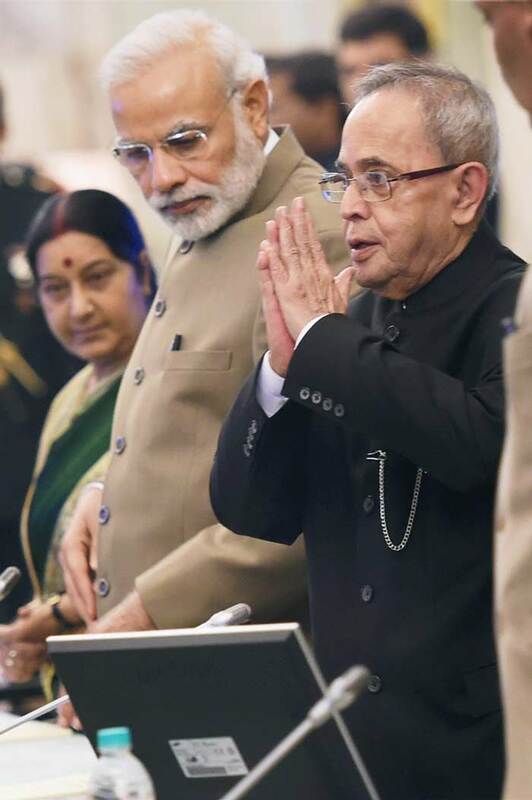 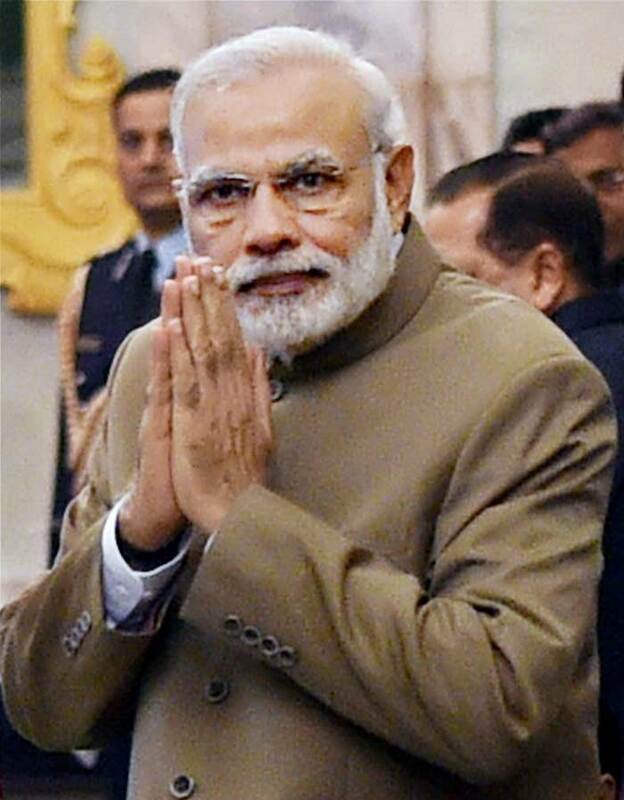 President Mukherjee said: "Every Indian looks forward to the Constitution as the guarantor of liberties, freedom and equality. 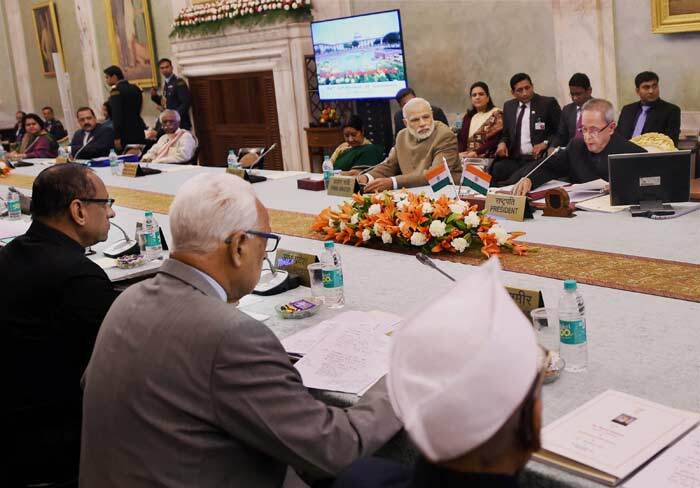 Any deviation from the principles and provisions embodied in the Constitution would weaken the democratic fabric of the country and jeopardise the social, economic and political well-being of our citizens," he said.